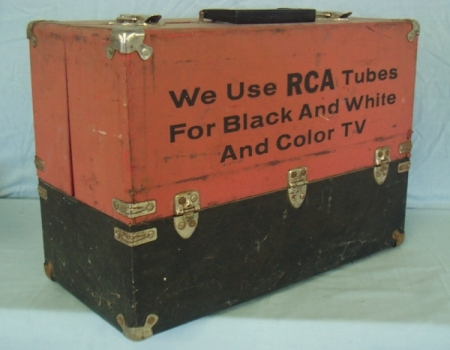 Tube Caddy's such as this one was used by the repair technician who made home service calls in the days when both radios and television sets were much too large and heavy for the average homeowner to bring in to the repair shop for service. 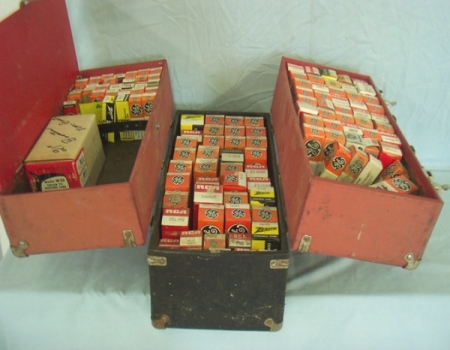 Most vacuum tubes did not weigh more then a couple of ounces each, so a large assortment of different tubes could be carried in a tube caddy and brought right into the customers home. 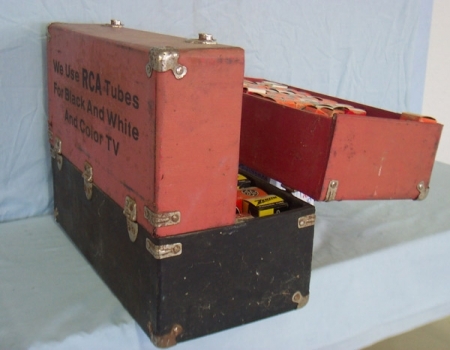 As can be seen in the pictures that follow, this tube caddy which is about the size of a small suitcase, or thick briefcase, can carry well over a hundred different type of tubes. These next two photographs illustrate the three different compartments of this tube caddy. 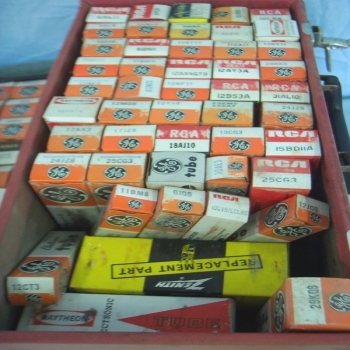 The smaller tubes are kept in the top two compartments, while larger tubes and possibly some tools are kept in the lower compartment. 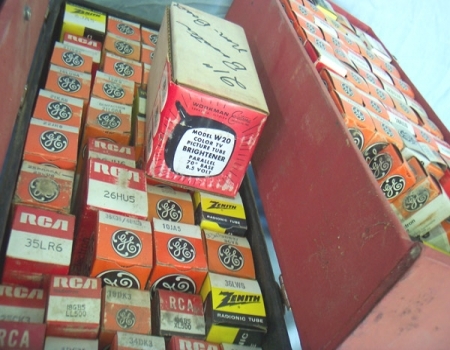 I would also imagine that the smaller tubes that seem to be needed more often would have been stored in the compartment with out a lid and on the right in the two pictures above. 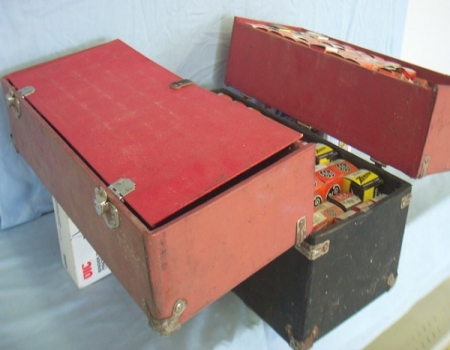 The photograph on the left is of one of the top compartments showing the storage of the smaller tubes, while the picture on the right is the larger tubes that are stored in the bottom compartment.